About one weekend a month, Tim and I (possibly under the influence of a glass of wine or two) spend an evening planning an elaborate brunch. We decide what to make, and in the morning he gets up early, takes the dogs out, and goes to the grocery store to get all the ingredients we need (I’m a pretty lucky girl). Sometimes we have bubbles or Bloody Marys while we cook together, and sometimes we have friends over, but we always end up with a fabulous meal and satisfied tummies on our day of rest. 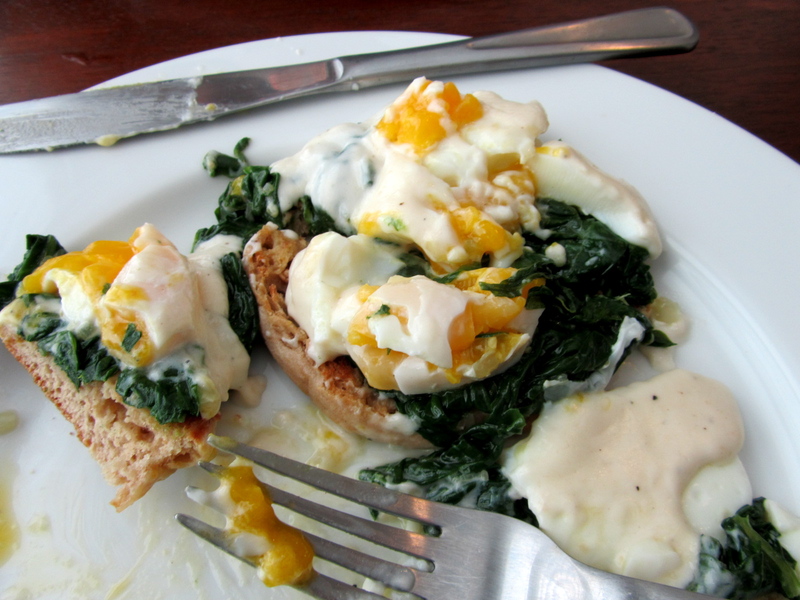 These Eggs Florentine have been the brunch dish I have been most proud of. 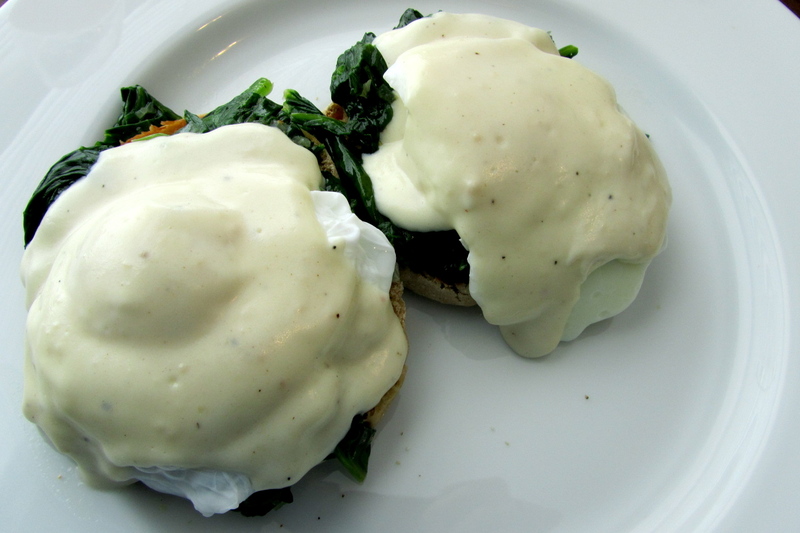 It involves a “fancy” French sauce along with my trick of the year – poaching four eggs at once (ta-da!). P.S. Tim and I got engaged this weekend!! !